Instagram has no doubt become the mover the shaker of social media. 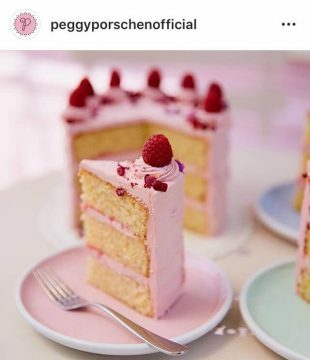 In fact, it has become so trendy to take the perfect Instagram shot that restaurants, hotels and cafes are changing their interiors and style of presentation to suit our Instagram needs. Living in London has opened my eyes up to a whole new way of taking photos. I am by no means a photographer but I have learnt that if you are creative, have a fairly decent eye for colors and aesthetics and know how to use Lightroom, you can curate a pretty epic Instagram image! So I thought I would take to the streets of London to find 5 of the most Instagrammable spots for you to take the perfect shot. Keep reading if you would like to find out more! 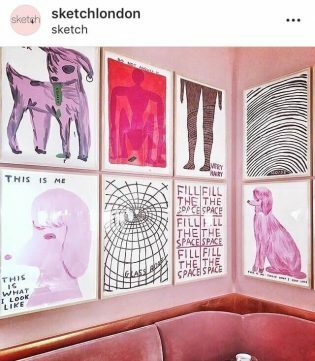 The Sanderson Hotel is the perfect place for girly brunches and Instagram parties! Not only are the ceilings covered in flowers but they also have the most gorgeous flower chairs- perfect for that summer siesta shot. The colours also make for the perfect Instagram image. Elan Cafe is one of my fav places to get that perfect Insta shot. However, its always very busy and frequented by the top bloggers in town… which can be slightly intimidating when trying to master that pose… right?! 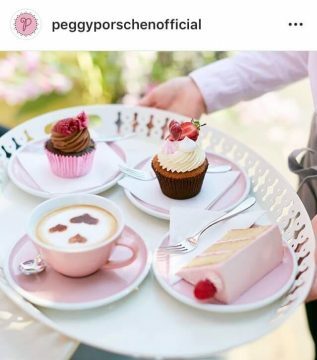 But, it’s pink interior and quirky coffees make for a beautiful feminine picture that will no doubt generate the likes you are looking for. 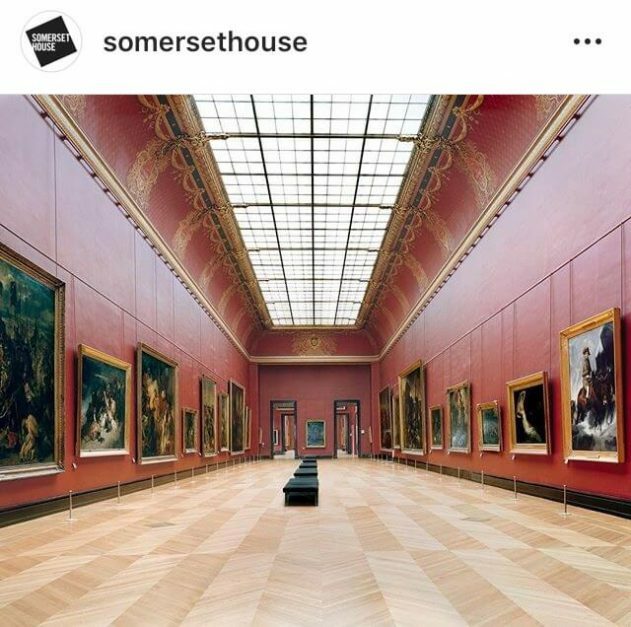 Somerset House was a Tudor palace commissioned by the Duke of Somerset. It is now an art gallery, cafe, up market restaurant and has a beautiful fountain court. 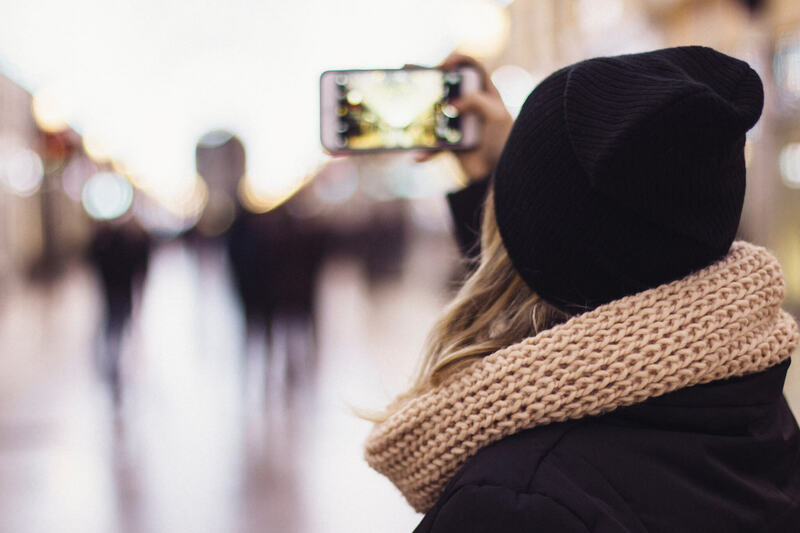 The Interior and exterior are both very different from one another but create an amazing canvas for your Instagram pictures. Tip: Maybe take two different outfits for both the inside and outside. 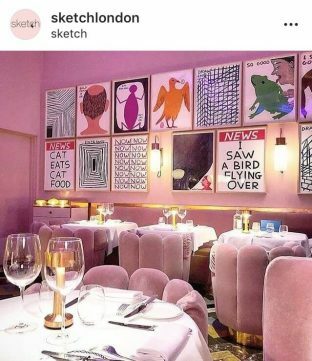 Sketch London is also one of those places that are filled with our local Instafamous bloggers and influencers. It is definitely like something out of a movie. Everything is pink and reminds me of candy floss- which is pretty darn cool if you ask me! It is often busy, especially on weekends but definitely worth a try to get that Instagram picture. Elizabeth Street is filled with the most amazing cafes, restaurants and bakeries. 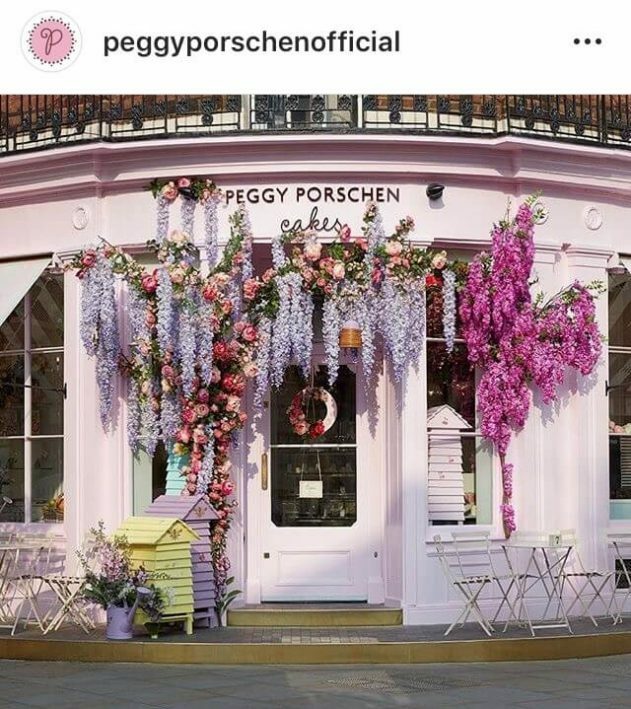 One that comes to mind is Peggy Porschen. This place is gorgeous! The entire cafe is pink, with flowers draping from the roof. The coffees and cakes they make are so beautiful to look at, you will not want to consume anything, lol! There is always a queue outside and so I would advise booking in advance. This is a MUST see and do in London- your Instagram followers will be thanking you for creating such picturesque content. So those are my top Instagram Spots in London at the moment. There are obviously so many other incredible places to get that perfect shot but I wouldn’t be able to fit them into one blog post, lol! I hope you enjoyed reading this as much as I enjoyed writing it. If you would like to check out some other awesome cafes in London, then click here. You can also check out my ULTIMATE GUIDE TO LONDON BRUNCH SPOTS here. Hope you all have a beautiful week and enjoy getting creative with your Instagram content. If not, why not right? It’s fun, it gets you exploring and makes you try new things!